Nature`s Answer Liquid Evening Primrose Oil delivers pure oil in an easily absorbable form, providing 2000mg per serving. Quik-Sorb is an exclusive blend of herbs known to enhance delivery of nutrients to the body. 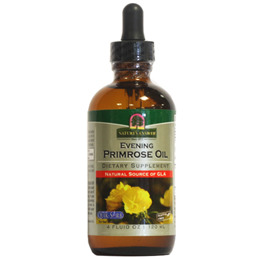 Evening Primrose Oil is a natural source of essential fatty acids such as GLA. Nature`s Answer alcohol-free extracts are produced by removing the alcohol through a cold Bio-Chelated proprietary extraction process, yielding a Holistically Balanced standardised extract. Holistically balanced guarantees that the constituents of the extract are in the same synergistic ratios as in the plant. Manufactured in Nature`s Answer`s FDA registered, cGMP certified and pharmaceutically licensed facility. Other Ingredients: Quik-Sorb (ginger rhizome, amla fruit, capsicum fruit), Natural Vitamin E.
As a dietary supplement take 1/2 Teaspoon (3 dropperfuls) daily with 170ml of water, preferably with a meal, or as directed by your healthcare practitioner. May be mixed with water or food. Below are reviews of Nature`s Answer Evening Primrose Oil - 120ml by bodykind customers. If you have tried this product we'd love to hear what you think so please leave a review.